Kurzweil Music Systems was founded in 1982 by Ray Kurzweil, who, at that time, had been working with Stevie Wonder on developing a reading machine for the blind. It was during their collaboration that the inspiration for a Kurzweil digital musical instrument was born. In 1983 Kurzweil Music Systems (KMS) released the K250, which presented to the world the first successful attempt to realistically emulate the sound of a grand piano in a digital keyboard. Over the next 25+ years, KMS released in succession a series of digital keyboards that were considered to represent the pinnacle of music technology in their day, among them the K2000, the PC88x and K2500. 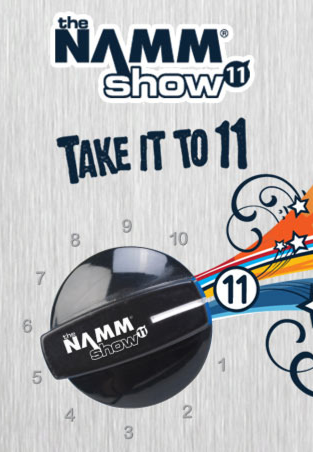 As a testament to how far ahead of their time these instruments were, they are still commonly used and requested by high profile artists around the world. The current offerings from KMS, which include the highly successful PC3 family, are used by some of the biggest names in the music industry: Andrew Lloyd Weber, Roger Waters, The Who, Earth Wind and Fire, The Boston Pops, Amanda Palmer, Billy Joel, and Paul McCartney, to name a few. With a small R&D facility located 12 miles west of Boston, the KMS team still meets regularly with Ray Kurzweil, who now serves as a strategic consultant for the company. The full time staff includes hardware, software and sound engineers, most of whom are also professional or amateur musicians. KMS continues to build on its legacy as a major innovator in the music technology industry and moves forward today under the proven leadership of Hyundai Development Company. The story of Stevie Wonder’s technical challenge to Ray Kurzweil that ultimately motivates the inception of Kurzweil Music Systems. 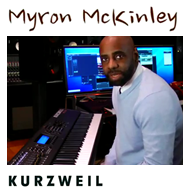 Myron McKinley, musical director for Earth, Wind & Fire discusses his long history and appreciation of Kurzweil musical instruments. Myron explains his method of alternative use of the PC3 K Series slider controls. 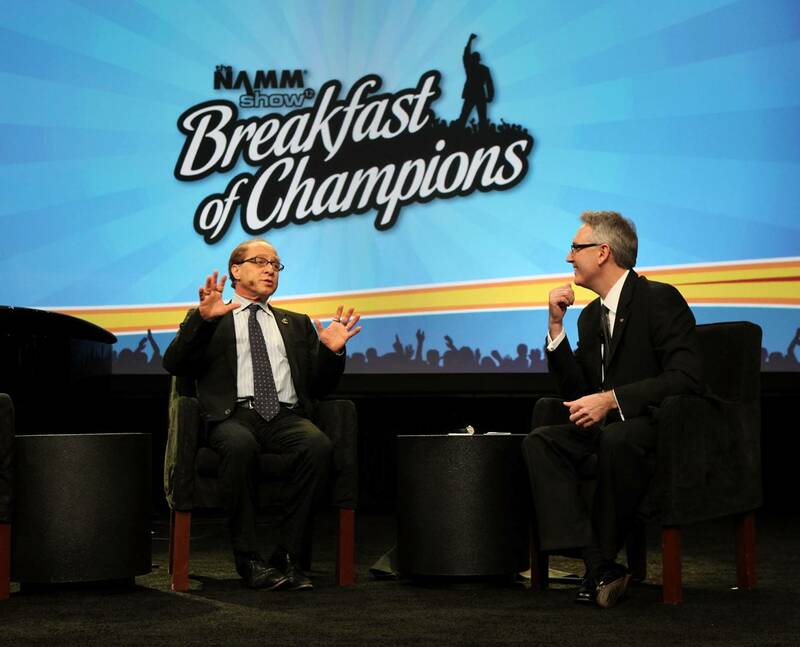 At the 2012 NAMM show on January 19, 2012, National Association of Music Merchants (NAMM) President and CEO Joe Lamond presented the Lifetime Achievement Award to Ray Kurzweil — best selling author, inventor and futurist in fields such as optical character recognition, text to speech synthesis, speech recognition technology, and electronic keyboard instruments. 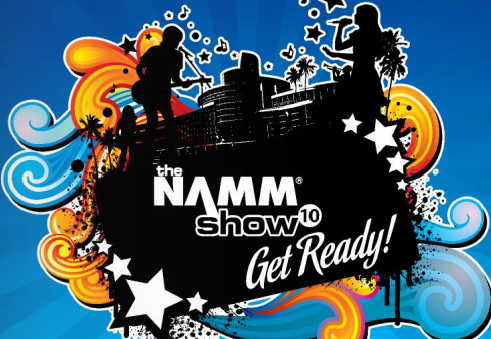 Kurzweil Music Systems will be showing off a wide array of exciting new products at the 2011 NAMM show in Anaheim this year. With strong new additions to both our home and pro lines, we’re expecting even more traffic than we saw during last year’s successful show. Kurzweil Music Systems is proud to announce the release of OS V2.0 for the PC3 line. Included are many new features and over 200 new presets, many of which are the result of direct input and feedback from our customers. V2.0 demonstrates our continued focus on the concept of non-obsolescence by design and our commitment to our customers, which lasts long after a Kurzweil keyboard is purchased. 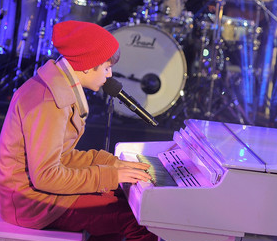 Paul McCartney and his band perform on NBC’s Saturday Night Live with a Kurzweil synthesizer on stage, aired on December 11, 2010. Season 36, episode 9. 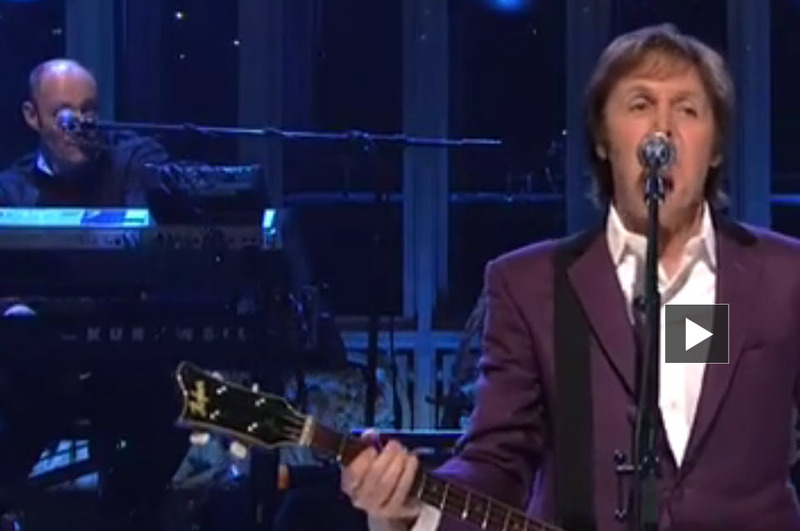 Paul Rudd hosts Saturday Night Live with musical guest Paul McCartney. 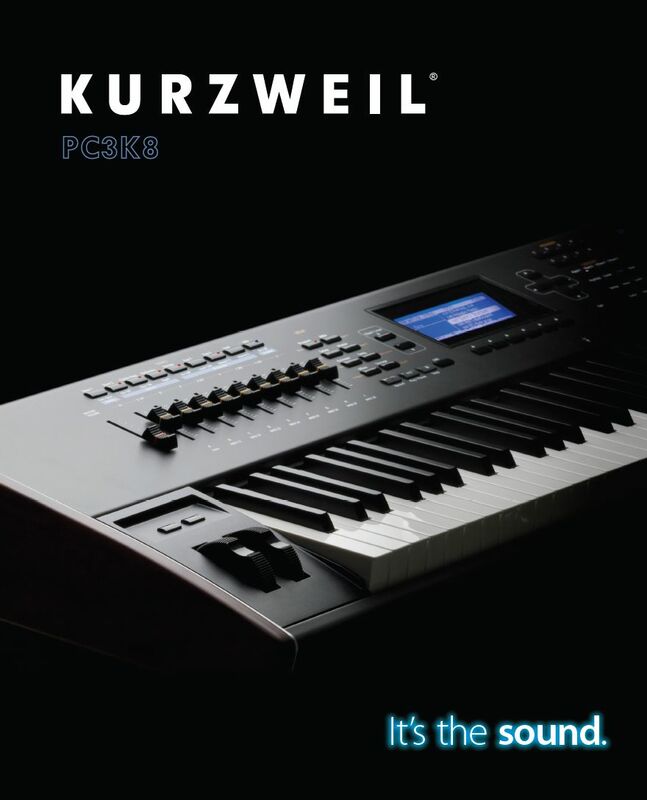 Click here to view the new Kurzweil PC3K8 brochure, which opens as an Adobe pdf. Executive Editor for Keyboard, Stephen Fortner, hosts a video tour of Kurzweil Music’s Boston-based research and development lab. Stevie Wonder was our first customer for the Kurzweil Reading Machine (the first print-to-speech reading machine) in 1976. We became friends and had many conversations about technology as applied to both disabilities and music. Kurzweil Music Systems proudly announces the release of the PC3K keyboard, expanding the PC3 line to include key new features along with backwards compatibility with the legendary K Series product line. A Kurzweil PC3K8 keyboard is featured live on stage with Roger Daltrey and The Who at the Super Bowl’s halftime show on February 7, 2010. Ray Kurzweil appeared on the popular 1950s and 1960s quiz show “I’ve Got a Secret” to reveal that he had made a computer that could make music. Since those early days, Ray has come to define the computer age of music making. Founder of Kurzweil Music, Ray designed some of the industry’s most noted electronic instruments of the 1980s and 1990s. 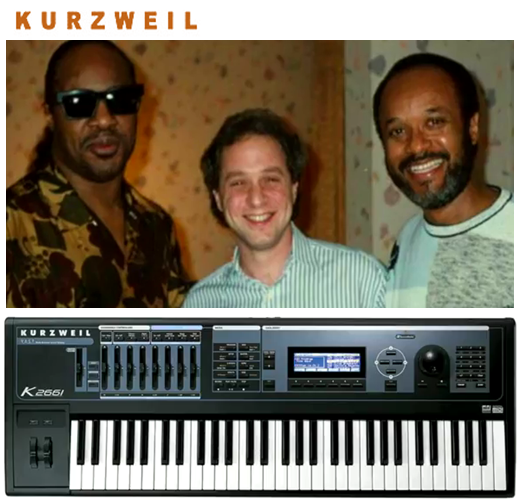 25 years since the launch of Kurzweil’s K250 ground-breaking synthesizer, Stevie Wonder joined Ray Kurzweil for the launch of Kurzweil’s new flagship model, the PC3K. On Friday night, in a small suite at the Anaheim Hilton, an invited audience saw Kurzweil present Stevie with the new model who then enthralled the audience with an impromptu performance of two songs. Stevie Wonder and I presented together at a VIP reception for music industry executives at NAMM (National Association of Music Merchants), the big annual musical instrument convention and trade show in Anaheim on January 15. I shared some anecdotes from my 33 year friendship with Stevie and 25 year history of Kurzweil Music.